2016 was another good year for Hartford County real estate. 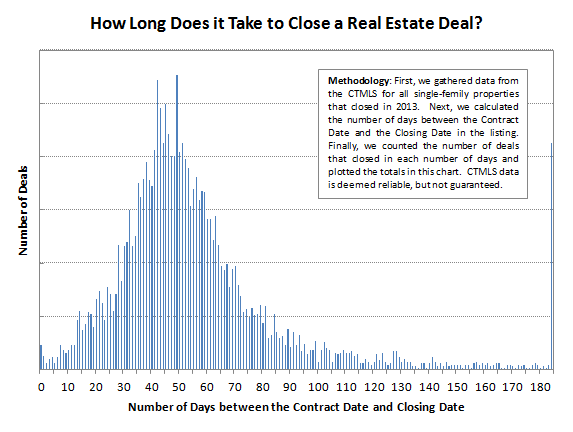 It was the second year in a row that showed growth in the number of closed deals. 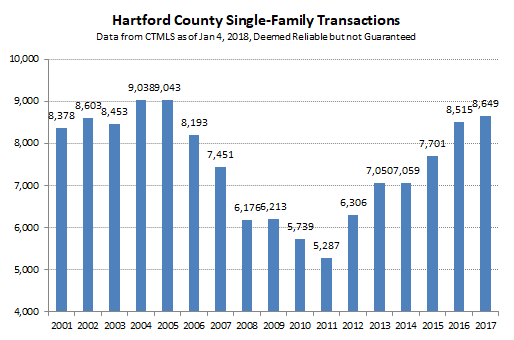 The total number of single-family sales recorded in the Connecticut Multiple Listings Service (CTMLS) database was 8,515 (as of 1/6/2017). 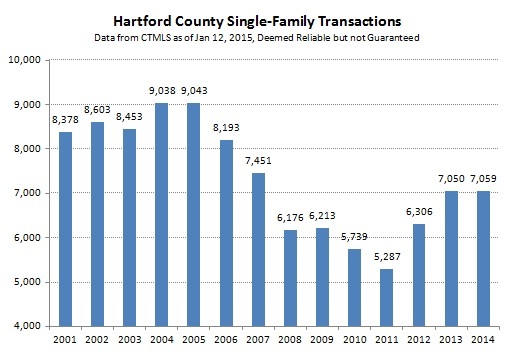 The number of closed sales increased by 10.6% over the 2015 total. As the above chart shows, the market has returned to the activity levels seen in the early 2000s. 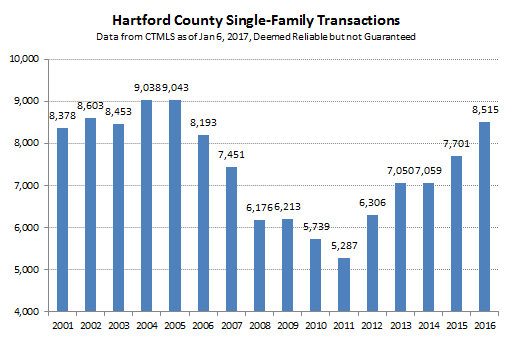 Last year’s sales total was only about 6% below the 2005 peak. 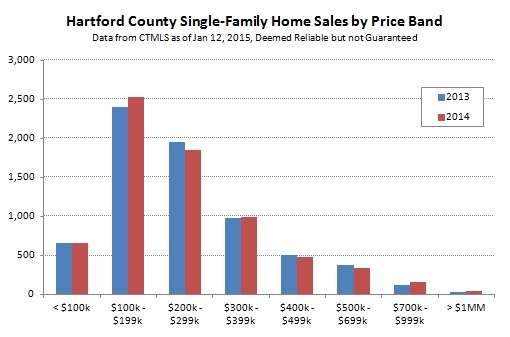 The increase in sales was not been equally distributed across price bands. Most of the increases in 2016 were in the middle price points of the $200,000s and $300,000s. However, on a percentage basis, the price points between $400,000 and $1,000,000 also showed good growth. Year end is the only time that we look at pricing trends. 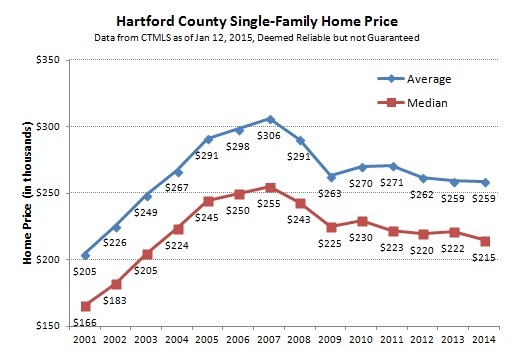 The chart below updates the annual calculation of median and average home prices. 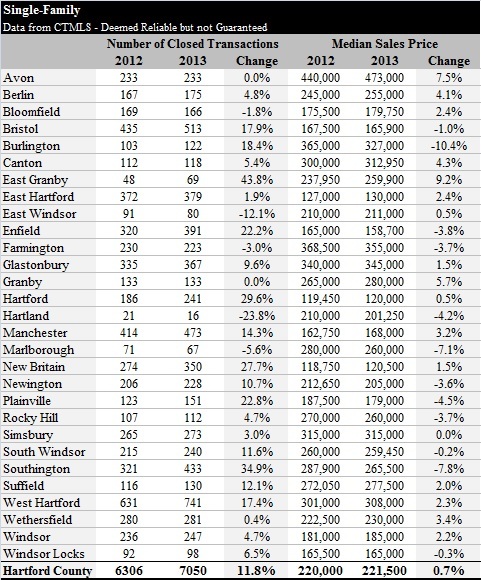 For the first year in quite some time, the median and average sales prices both increased. 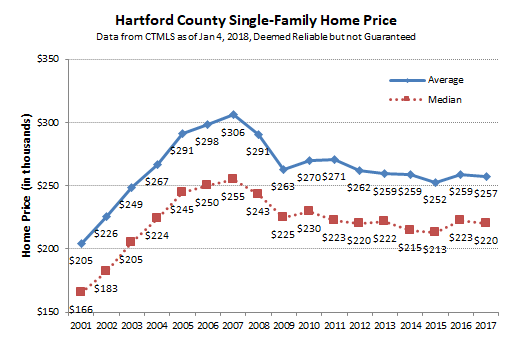 It’s difficult to tell from the high level charts, but the pricing gains were concentrated in the lower price points. Sellers at the upper price points still struggled with more supply than demand. The market is now well into the recovery phase, and is showing the first signs of upward price movement in quite some time. We’re looking forward to seeing what 2017 brings. Feel free to reach out to us if you have questions or would like more information.